Manderley > BLOG > News and Events > Kick Start your Lawn this Spring with these Maintenance Musts! Kick Start your Lawn this Spring with these Maintenance Musts! Spring is here and your lawn will soon be waking up from its long winter’s nap. If you’re wondering how best to prepare your lawn for the growing season, wonder no more! Follow these simple steps and you’ll be well on your way to getting the results you desire in 2017! Don’t be in a hurry, wait until the soil dries out before you start working your yard. Too much traffic on wet ground can cause several problems including soil compaction, damage to new growth. Take some time to rake up the leaves you may have missed in the fall and pick up fallen twigs and branches allowing you to start with a clean slate this Spring. 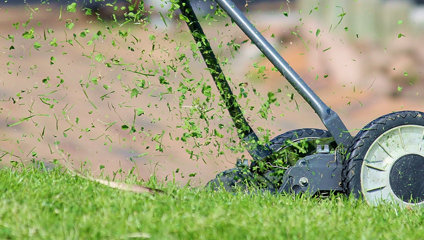 When your grass starts to green up, mow at a low height to remove the dead grass tops. You don’t want to go to low as to avoid damaging the crown of the plants. Remember never to remove more than 1/3 of the leaf height. Fall is the ideal time to aerate but if you got caught last fall, spring is the second-best! Aeration reduces soil compaction, controls thatch, stimulates new root growth and improves the flow of water, air and nutrients in the soil, making them available to your plants. Over time, soil nutrients available to a conventional lawn can begin to become depleted. This is particularly true during and after periods of extreme temperatures and increased plant stress. Over the course of a lawn’s lifecycle, plants will have different needs that can be managed in many ways. Topdressing: aeration and topdressing go hand in hand when it comes to promoting good soil health! While fall is the best time of the year to topdress, don’t fret, you haven’t missed the window. Introduce a nutrient rich garden mix to your lawn to help feed your plants and improve the makeup of your soil for the growing season. 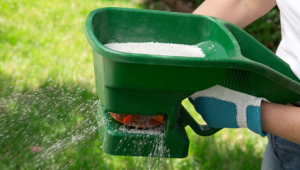 Fertilize: fertilizers are specifically formulated to address the key nutrient requirements of a grass plant at various stages of its life and over the course of every summer. 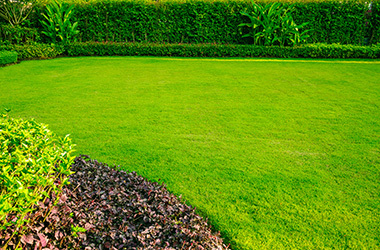 They can certainly help your lawn look great, but it’s important to be careful. Fertilizers can burn your lawn, damage soils and pollute ecosystems, if proper application steps are not followed and/or if the fertilizers don’t contain nutrient inhibitors. Manderley’s line of fertilizers are designed to keep lawns looking great, while also taking precautions to lessen the negative impacts through stabilized release technology, phosphorus-free seasonal maintenance products and clear usage guidance developed by industry experts. 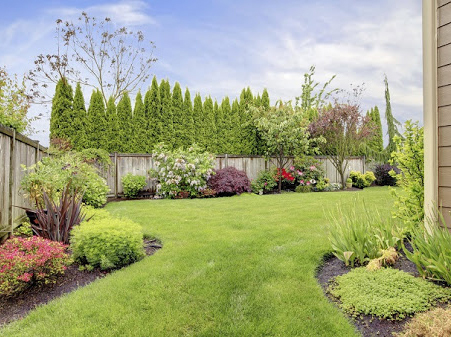 Diversify your lawn: allowing other plants, including weeds like clover or even dandelions, to grow-in with your lawn can improve the quality of your soil, through aeration, nutrient accumulation and even nitrogen fixing. This can help you get all the great benefits of grass while reducing inputs and maintenance. Overseed with a premium quality lawn mix to fill in bare spots, thicken and strengthen your existing lawn. Don’t settle for Canada No.1 Grade seed! Get to know what’s in your mix to be sure you’ll get good quality results. Make sure seeding gets done early enough before the heat of the summer hits. This will allow enough time for the new grass plants to develop strong root systems that can withstand the heat stress of the summer months. Manderley offers a wide range of grass seed products that will meet your every need. Wait to water! 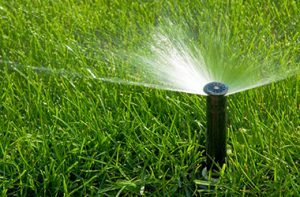 Most years there is plenty of natural irrigation in the spring to give your lawn the water it needs. As a rule of thumb, most conventional lawns should get around 1” of total water a week which includes rain. Keep an eye on the weather and water as needed taking care to not over water. Be sure to consider drought tolerant sod and seed in your spring lawn maintenance plan, which can help you to further reduce your watering need – year after year! Taking the time to prepare your lawn in the spring goes a long way for you to have a healthy, functional space to enjoy all summer long.